Born about 1632, baptised 19 February 1632 at Ashkirk, Roxburghshire, Scotland. Married on 25 March 1653 at St Andrews & St Leonards, Fife, Scotland JANET PRESTONE, born about 1625, baptised 2 March 1625 at Dysart, Fife, Scotland. Born about 1655, baptised 25 October 1655 at St Andrews & St Leonards, Fife, Scotland. Married on 1 October 1720 at Ceres, Fife, Scotland MARY ROSS. Born about 1724, baptised 4 October 1724 at St Andrews & St Leonards, Fife, Scotland. Married about 1750 at St Andrews AGNES GRAHAME, born about 1730, died 1800. Born 3 December 1755, baptised 7 December 1755 at St Andrews, Fife, Scotland. Married on 22 January 1773 at St Andrews BARBARA ARMET, born 10 February 1751, baptised 10 February 1751 at Ceres, Fife, daughter of James Armet and Ann Gourlay (b. 1705)..
Born 23 October 1780, baptised 27 October 1780 at St Andrews, Fife, Scotland. Married on 2 April 1803 at St Andrews KATHARINE MELVILLE, born 30 April 1772 at Coaltown of Balgonie, Fife, baptised 6 May 1772 at Markinch, Fife, daughter of David Melville (1738-1809) and Katherine Smith (1742-1803); died 19 April 1826 at St Andrews. Died 7 April 1841 at St Andrews. Born 6 November 1811 at St Andrews, Fife, Scotland, baptised 10 November 1811 at St Andrews. 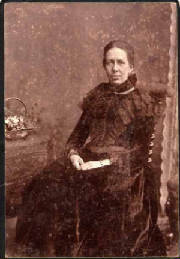 Married (1) on 8 December 1837 at Dundee, Angus, Scotland AGNES STEWART. 5 children: William Fletcher (b. 1838), Jessie Fletcher (b. 1841), James Fletcher (b. 1843), Stuart Fletcher (b. 1845), Hugh Fletcher (b. 1848). Married (2) on 2 December 1851 at Barry, Angus, Scotland MARGARET GORDON, born 2 April 1828 at Kenloch, Forfarshire, Angus, baptised 6 April 1828 at Inverkeilor, Angus, daughter of John Gordon and Ann Archibald; died 27 October 1894 at Dundee, Angust. 3 children (see below). 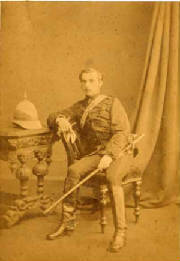 Died 19 February 1901 at Dundee, Angus. Born 1 July 1853 at Dundee, Angus, Scotlanbd. Married (1) on 16 February 1880 at Dundee MARGARET ROBERTSON, born 21 January 1855 at Elgin, Morayshire, daughter of Alexander Robertson (1833-1888) and Isabella Taylor (1834-1888). Married (2) in March 1901 at Mitford, Norfolk ADELAIDE LOUISE LAKE, born 10 May 1873 at Melton Parva, Norfolk, baptised 5 May 1878 at Norwich, Norfolk, daughter of Robert Lake (1843-1921) and Rebecca Rayner Bishop (1844-1922); died 26 January 1956 at Portsmouth, Hampshire. In 1922 he was living in Albert, Somme, France. From at least 1931 he was living with his family in London, England. Died on 24 July 1945 at Canons Park, Edgware, London, and cremated on 27 July 1945 at Golders Green Crematorium, Barnet, London. Source: The Times (London) Thursday 26 July 1945, p. 1. Sources: Royal Navy Continuous Service Engagement; Service record of John Gordon Fletcher. HMS Duncan was a 101-gun screw-propelled first-rate launched in 1859. Source: Service record of John Gordon Fletcher. HMS Repulse was an ironclad wooden battleship launched in 1868 and sold in 1889. HMS Favorite was a wooden ironclad battleship launched in 1864 and paid off in 1876. She was First Reserve guardship on the east coast of Scotland from 1872 to 1876, in succession to HMS Repulse. Source: Royal Navy Continuous Service Engagement. John G. Fletcher, Chief Quartermaster of the Lord Warden, was awarded the naval medal for long service and good conduct on 2 September 1881. Source: The Times (London) Friday 7 October 1881, p. 4 col. F.
HMS Lord Warden was a wooden-hulled iron-clad frigate launched in March 1865 and completed in August 1867. Source: Marriage Certificate of John Gordon Fletcher. HMS Squirrel was a coastguard cutter built in 1866 and sold in 1905. Sources: United Kingdom Census 3 April 1881; Royal Navy Ships in Port 1881 http://www.angelfire.com/de/BobSanders/RNSquirrel81.html. HMS Psyche was a coastguard vessel purchased in 1878 and sold in 1884. HMS Neptune was a coastguard cutter built in 1863 and sold in 1905. Source: Birth certificate of Alexander William Fletcher. HMS Hawk was a screw coastguard vessel launched in 1869. She was renamed HMS Amelia in 1888. HMS Beaver was a sailing cruiser employed in 1890-1891 on fishery protection service in the North Sea. HMS Iron Duke was a battleship launched in 1870, and paid off in 1893. Sources: The Times (London) Monday 9 February 1891, p. 7 col. D; United Kingdom Census 5 April 1891; Birth certificate of son John Gordon Fletcher. HMS Active was a Volage-class iron screw corvette launched in 1869 and sold in 1906. Through the medium of the Consul at Plymouth, the French Government yesterday paid practical recognition to the life-saving services of Mr. John Gordon Fletcher, formerly of the coastguard service, and now retired, in connection with the distress of two French vessels off the coast of Ireland. Sir Joseph Bellamy first handed to Capt. Fletcher a gold medal for the valuable services he rendered in October, 1907, at Quilty, to the crew of the French barque Leon XIII. Sir Joseph explained that the services consisted of Capt. Fletcher, then divisional coastguard officer at Kilkee, taking charge of the life-saving operations and remaining on an exposed part of the coast for over fifty hours in the constant efforts to save the crew of the Leon XIII. The barque was wrecked on rocks off the coast, and with seas continually breaking over her the men were exposed to imminent peril the whole time of the operations. They were rescued by means of rafts, constructed for the purpose, and fishermen’s canoes, and eventually the whole of the crew, numbering 22, were brought ashore in safety. The medal presented to Capt. Fletcher bears on one side the female head emblematic of the French Republic, and on the other the name of the recipient, and the inscription “Ministère de la Marine. Courage et dénouement”. Sir Joseph Bellamy next asked Captain Fletcher to accept, on behalf of his wife, a silver medal presented by the French Government, in recognition of the valuable and humane services rendered by Mrs. Fletcher to the crew of the Leon XIII, after they had been brought ashore. Sir Joseph added that Mrs. Fletcher’s services to the unfortunate men were most devoted and arduous, and the French Government desired her acceptance of the medal as a souvenir of the event. The medal bears on one side a beautifully-artistic design of a laurel wreathed female head, with the words “République Française”, and on the other an inscription, in French, stating that the souvenir is “in commemoration of the salvage of the French barque Leon XIII upon the coast of Quilty, October 2nd, 1907”. A third presentation was made of a splendid pair of binoculars to Capt. Fletcher, inscribed “Ministère de la Marine, to Capt. John Gordon Fletcher, in command of the coastguard of Kilkee, in recognition of the succour given in March, 1908, to the French barque Ernest Reyer”. The circumstances of this event were that during a heavy gale off the coast of county Clare, the Ernest Reyer was blown into a very dangerous position on a lee shore. Capt. Fletcher hired a special train, and with his men took the life-saving apparatus a distance of 20 miles from the station to the part of the coast along which the vessel was being blown. Here they remained watching the barque from Wednesday until Saturday night, exposed to terribly strong weather. Meanwhile Capt. Fletcher informed the Admiralty authorities at Queenstown of the position of affairs, and the Government ship Forte was sent from Bantry Bay and stood by the barque. Fortunately the gale moderated, and the Ernest Bayer was able to escape from her perilous position. Capt. Fletcher suitably acknowledged the presentations, and apologised for the unavoidable absence of his wife. Source: Western Morning News (Plymouth) Wednesday 26 August 1908, p. 8 col. F.
At the French Consulate, Plymouth, yesterday, Captain John Gordon Fletcher, late divisional officer of coastguards, was presented by the French Government with a gold medal and binoculars in recognition of services rendered in connection with the rescue of the crew of the French barque Leon XIII at Quilty, Ireland, last October, and of the French barque Ernest Rayer, at Kilkee, Ireland, last March. Mrs Fletcher, the captain’s wife, was also presented with a medal from the French Government for humane treatment of shipwrecked men. Source: Western Daily Press (Bristol) Wednesday 26 August 1908, p. 8 col. D.
A story of gallant work by coastguards in the succour of distressed seamen was told at Plymouth on Tuesday, when Captain John Gordon Fletcher, late divisional officer of the coastguard at Kilkee, Ireland, was the recipient of gifts from the French Government. In October last the French barque Leon XIII was driven on the rocks on the south coast of Ireland during a heavy gale. The coastguard, under Captain Fletcher, made brave efforts to save the crew, and after fifty hours of continuous toil the twenty-two hands of the barque were all saved. The vessel afterwards became a total wreck. In another gale in March the French barque Ernest Reyer was driven to anchor in a dangerous position on the south coast, twenty miles from Kilkee. Captain Fletcher went to her assistance with the life saving apparatus, and stood by her for three days as she dragged her anchor along the coast. On the third day H.M.S. Forth arrived and towed the barque out to sea. Sir Joseph Bellamy, French Consul, on behalf of the French Government, presented Captain Fletcher with gold medals and a pair of binoculars, and also presented a medal to Mrs Fletcher for her humane treatment of the shipwrecked crew of the Leon XIII. Source: Salisbury Times, Wilton Times and South Wilts Gazette Friday 28 August 1908, p. 3 col. F.
Greenwich, London: Lieutenant-Commander J. G. Fletcher, R.N., retd., has been awarded a Greenwich Hospital pension of £25 a year. Source: The Times (London) Saturday 28 January 1939, p. 3 col. F.
Born 10 December 1856 at Dundee, Angus, Scotland. Born 17 February 1862 at Dundee, Angus, Scotland. Born 11 January 1881 at Leith, Midlothian Scotland. Died 3 December 1965 at Remuera, Auckland, New Zealand. Born 1 August 1887 in Portsea, Southampton, Hampshire, England. Farmer at Kaitaratahi, near Gisborne. Married on 28 February 1912 at Kaitaratahi FLORA TENNANT SCOTT, born 17 December 1884 at Kaitaratahi, daughter of George Scott (1836-1896) and Kate Dunlop (1851-1925); died 28 October 1958 at Gisborne. ALEXANDER WILLIAM FLETCHER, born 27 February 1916 at Gisborne. Farmer at Waipaoa, Gisborne. Private, New Zealand Infantry, 2nd NZEF. Married in 1946 at Gisborne CHRISTINA BETTY SYMON, born 1925, died 30 July 1993 at Gisborne. Four children: Robert Alexander Fletcher (born 5 June 1948); Angela Enid Fletcher (born 13 August 1949); Carmen Fletcher (born 5 August 1952); Rosalind Janelle Fletcher (born 12 November 1953). Died 10 May 1989 at Waipaoa, Gisborne. Source: New Zealand Electoral Rolls, 1853-1981. Died 9 December 1917 in Palestine, buried 1918 in Memorial War Cemetery, Jerusalem, Israel. There is no record of an Alexander William Fletcher in Passenger Lists Leaving UK 1890-1960. There is an “Alex Fletcher” leaving Glasgow for Sydney in 1911. There are also males named “Wm Fletcher” leaving Plymouth for Auckland in 1891; London for Wellington in 1908; and London for Auckland in 1911. Supplement to the London Gazette 9 January 1918, p. 604. Born 12 December 1892 at Dundee, Angus, Scotland. Source: Birth certificate of John Gordon Fletcher. Moved to France about 1913, and was naturalised on 20 October 1921. Known as Jean Fletcher. Married on 24 February 1919 at Port-Noyelles, Somme, Picardie, France LUCIA ALINE ZÉLIE FONTAINE (born about 1895 in France, died after 1946 in France). Died 29 July 1942 at Auschwitz, Malopolskie, Poland. For an Intelligence Corps veteran of the Great War, the advent of WW2 would lead to a tragic end. As a civilian living in France, his efforts to support the Allied cause would lead to his capture and interrogation by the Gestapo and finally his death in one of the Nazis’ most notorious death camps, Auschwitz. John Gordon Fletcher was born in Scotland, served with the Intelligence Corps in WW1 and finally settled in France. He was among many that risked their lives to help downed Allied airmen to escape capture and as a result of an act of betrayal, he paid the ultimate sacrifice. John was born in Overgate, Dundee on 12 December 1892, the son of a sea captain. At some point he moved to France and must have assimilated into the country very well, as he joined the French Army when war broke out in 1914. He remained in its ranks until 1915, when he enlisted into the British Army as a driver with the Army Service Corps (regimental number: T4-122846) and was back in France on 9 October 1915. John undoubtedly spoke fluent French, and this combined with his knowledge of the country made him an ideal candidate for the Intelligence Corps; and by December 1915 he had been transferred to the Royal Fusiliers (Intelligence Corps) with the rank of acting-corporal (regimental number: G-95493). John survived the war and remained in France. He applied for the 1914 Star, requesting that his service with the French Army be recognised for eligibility of the award; this was declined, but John was awarded the 1914-15 Star (as member of the Corps). On 8 October 1918 John was also awarded the French Médaille Militaire (military medal) for his distinguished service as a British soldier by the French government. (The medal was awarded by the French Republic to other ranks, for meritorious service and acts of bravery against the enemy. It was the third highest award after the Légion d’honneur). By 1921, he had become a French citizen and went by the name of “Jean”; he had also married Lucia Fontaine, who ran a restaurant in the town of Albert. John worked, probably as a guard, at the Potez aircraft factory located at Méaulte, on the outskirts of Albert. At the time it was the largest aircraft factory in the world, covering 2.5 acres and employing 3200 workers (1930). Following a series of strikes in the mid-1930s, the French government nationalised the war industry and this including the Potez factory. Following the defeat of France in 1940 the plant was requisitioned by the Germans. Although John continued to work at the factory, he was secretly helping to resist the Germans and was part of an underground escape line that aided downed Allied airmen. However, in May 1942 John and two other men (they also worked at the factory) were betrayed by an informant to the Gestapo. On 20 May German military police raided the factory and the three men were arrested. John’s involvement in the resistance was not known until after the war and it was believed by many that he had simply been detained in error. In fact, following enquires by the French Police in 1943, at the request of Lucia, the French authorities reported that they could not determine the reason for his arrest as he “was neither Jew, Freemason nor political”. John was held at the Albert City Hotel for two days, before being moved to Frontstalag 122 in Compiègne. This was a German military prison used as an internment camp primarily for political prisoners who were processed prior to deportation to concentration or death camps; John was “prisoner 5821”. On 6 July 1942 John was loaded onto a cattle truck and transported to Auschwitz-Birkenau, arriving on 8 July. He became “prisoner 45544” and was assigned to Block 12. John was 50 years old, and had probably suffered brutal treatment since his arrest, and just 21 days later he was dead. He was listed in the camp’s Death Books, volume 2, page 296 as dying on 30 July 1942 (he died on 29 July). His fate was not known until after the war. The French government had conducted an investigation into those that had been deported from France and the search of the records seized from Auschwitz revealed that he had died; a photograph was also recovered. On 26 November 1946, following a petition by Lucia, his marital status in the Book of Deaths was corrected to “married”. On 2 April 2009, John Gordon Fletcher’s demise was formerly registered by the French government as “death in deportation”. Haunted eyes, haggard face and that grimly familiar striped uniform. There’s something dark and tragic about the picture – even before you notice the word “Auschwitz”. But this isn’t one of the unknown lost souls, he is one of our own – John Gordon Fletcher from Dundee. He arrived in Auschwitz-Birkenau on July 8 1942 and is the only known Dundonian to have perished in the epicentre of the Holocaust. Recent information has surfaced that shines a light on to the life of John, born in the Overgate on December 12 1892, the son of a sea captain. He served with the British Army during the First World War, initially with the Army Service Corps and the Royal Fusiliers before being moved into the Intelligence Corps. It appears he left Dundee and settled in France prior to the conflict, because when claiming his war medals he asked if previous service in the French army counted. He stayed in France after the war and by 1921 he was married to Lucia Fontaine who ran a bistro at 12 Avenue George Clemenceau in the town of Albert in the Somme region. By this time, he’d dropped the name John and was using the French version, Jean. He got on with his life, worked at a government-owned aircraft factory in the nearby town of Meaulte – until war came once more to that battle-scarred part of France. When the Germans swept through France in 1940 they requisitioned the factory as they needed aircraft parts themselves and, as a skilled worker, John might have been relatively safe. However, there was a father and son working at the factory, Ernest and Rene Pignet, who had been helping shot-down Allied airmen and escaped prisoners of war to evade capture. There were collaborators everywhere and someone tipped-off the Gestapo. At noon on May 20 1942, German military police raided the factory and arrested the two Pignet men – and John as well. The French authorities – who operated under direct Nazi control – asked why John had been arrested as he “is neither Jew nor Freemason nor political”. They even wrote to his wife saying they didn’t know why John had been taken, although after the war it was discovered he had assisted the Pignets. The three men were locked up in Albert City Hotel until May 22 when they were taken to Compiègne and imprisoned in Frontstalag 122 – a German military prison. John was registered under the number 5821 and was now in a system from which escape was virtually impossible. Suddenly it became much, much worse. Between late May and late June 1942, John was selected with more than a thousand hostages who were to be deported in retaliation for the activities of the Resistance. At dawn on July 6 1942 the prisoners were forced at gunpoint into cattle wagons at Compiègne station. Their destination was Poland. The journey took nearly three days, and on July 8 John arrived at Auschwitz where he was processed. He was photographed and given the number 45544. The Nazis needed skilled workers and although the Auschwitz-Birkenau facility is remembered as a death camp, it housed workshops and factories too. The picture shows John gaunt, his eyes unfocused. His post-arrest interrogation is likely to have been savage. The time in a German military prison would have been a nightmare for a fit young man. But he was 50, a war veteran, and he lasted just 21 days in Auschwitz before he died. What killed him is not known. He was snatched from his family and his home and taken to a place where he stopped existing as a person and became simply 45544. After the war the French started trying to discover what happened to the thousands who had been deported and in Auschwitz they discovered John’s picture and some of his details. In 1946 they sent a note to the Provost of Dundee stating that John Fletcher of the city had died in Auschwitz. Source: Daily Telegraph (London) 30 August 2016. Jean Fletcher was born on 12 December 1892 in Dundee, Angus, Scotland, son of Margaret Robertson and John Gordon Fletcher. He lived at 12 avenue Georges Clémenceau in Albert (Somme) at the time of his arrest. 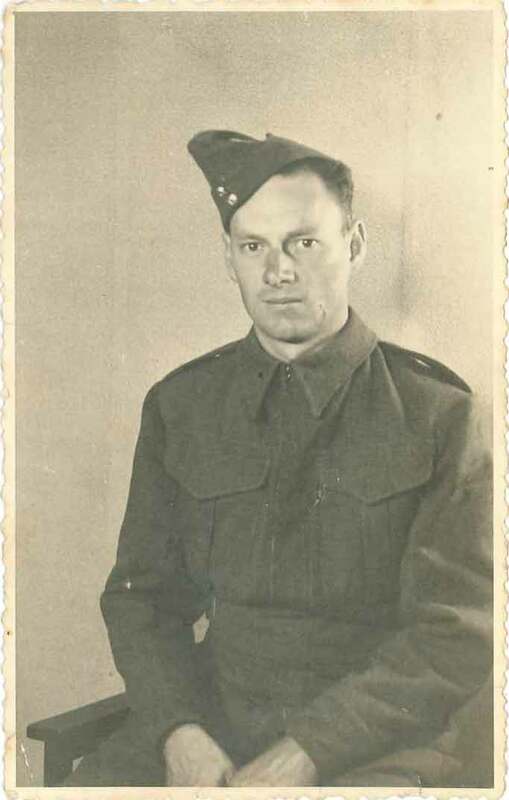 According to his military registration card, Jean Fletcher was 1m 64 in height, had chestnut-brown hair and grey-brown eyes, a broad forehead and a rather prominent nose. He had an oval face. At the time of the draft board of 1922 (see below) he worked as a hotelier in Albert (Somme) where his parents lived. He had a level of education “No. 2” for the army (can read and write and count, primary instruction). Born in Scotland, Jean Fletcher had not been enumerated in France with his age group (1912). But at the declaration of war, he voluntarily enlisted on 1 September 1914 “for the duration of the war” in the Second Foreign Regiment and he was sent to Bordeaux where he arrived on 6 September. On 16 September 1914 he embarked for Fez. 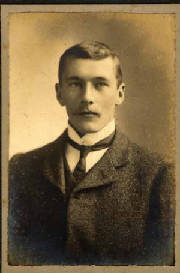 He was engaged in the Morocco campaign until 10 June 1915. On this date his enlistment was cancelled (10 June D.12240 2/1) and he was sent to the English base depot at Le Havre. He then served in the English army “until the end of hostilities” in the “Third Intelligence Corps” (intelligence service). He was demobilised with the rank of sergeant. Jean Fletcher was decorated with the military medal (decree of October 1918), the colonial medal, the medal of Morocco and the Combatant Volunteer Cross of the war 1914/18 (in 1937). According to a reference in his regimental roll “the person concerned seems to be entitled to the veteran’s card, following his service with the 2nd Foreign Regiment, the 24th company to which Fletcher was attached having been in the zone of operations from 6-9-14 to 10-6-1915”. 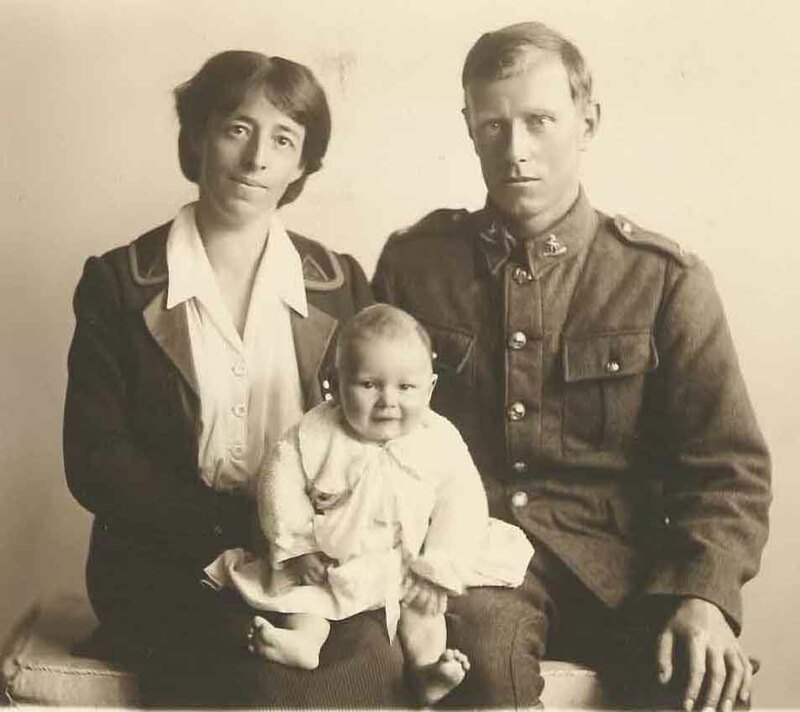 On 24 February 1919 Jean Fletcher married Lucia Aline Zélie Fontaine, restaurant keeper, then domiciled in Pont-Noyelles (Somme). 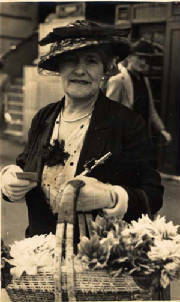 Jean Fletcher was naturalised by decree of 20 October 1921. He thus became liable for French military service. But “By ministerial decision of 24 April 1922, the Minister of War decided that the person concerned, a naturalised Frenchman regularly enumerated with the class of 1922, will have his previous service taken into consideration and will be exempted from military service. He will be placed on the availability list until he joins the reserves with the class of 1922”. For the army reserve, he was assigned to the 72nd Infantry Regiment, then reassigned to the 2nd Anti-Aircraft Regiment, then to the 3rd (1923), then to the 1st Anti-Aircraft Regiment, then to the 101st Artillery Regiment in the framework of mobilisation Plan A.. In November 1933 and until October 1936 the couple lived at 30 rue des Bonnes Gens in Berck-sur-mer (Pas-de-Calais). Then at 10 rue Aristide Danvin in Berk-Plage. In November 1939 they lived at 29 rue Albert Pifre in Albert (Somme), then moved to 19 rue de Beaumont in Albert. On 12 September 1939 he was employed (as a caretaker) at the Société Nationale de Constructions Aéronautiques du Nord (“Henri Potez Aircraft” factories in Méaulte (near Albert) and thus was classified by the army as “Special Affected” Table 3, 2nd region “until further notice”. He would not therefore be mobilized. Henry Potez created in 1924 the largest aerospace factory in the world, on 2.5 hectares (3200 employees in 1930). This is where the Potez 25, the mythical plane that would make a bright future for the Aéropostale [Aircraft Company], would be released. The plant was nationalised in 1937 and became SNCAN (Société Nationale de Construction Aéronautique du Nord); it manufactured the twin-engine Potez 63-11, the Air Force’s most used plane in 1939/1940. The couple lived at 12 avenue Georges Clémenceau in Albert (Somme) at the time of his arrest. Jean Fletcher was arrested by the German authorities at his place of work (probably on the same date as Ernest and René Pignet of Albert). The Germans interned him on 23 May 1942 at the German Royallieu camp in Compiègne (Frontstalag 122) under the number 5821. His wife sought to have news of him (she made a request for information to [Fernand de] Brinon. Following her request the police investigation was carried out on 24 September1943, details of which are given in his file at the DAVCC, mentioning that he is “neither convicted, nor Jew, nor Freemason, nor political”, without giving another reason for arrest). Jean Fletcher was deported to Auschwitz in the convoy of 6 July 1942, known as the “45000”. This convoy of hostages, composed for the most part of a thousand communists (party political leaders and trade unionists of the CGT [Confédération Générale du Travail]) and about fifty Jewish hostages (1170 men at the time of their registration at Auschwitz) was part of the German retaliatory measures intended to fight, in France, the “Judeo-Bolsheviks” responsible, in the eyes of Hitler, for the armed engagements organized by the clandestine communist party against officers and soldiers of the Wehrmacht, from August 1941. 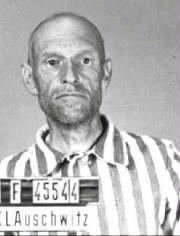 He was registered on his arrival at Auschwitz on 8 July1942 under the number “45544”. His registration photo at Auschwitz was found among those which members of the Camp’s internal Resistance had hidden to save them from destruction, ordered by the SS shortly before the evacuation of Auschwitz. After registration, he spent the night in Block 13 (the 1170 deportees of the convoy were crammed into two rooms). On 9 July all were led on foot to the Birkenau camp annex, located 4 km from the main camp. On 13 July he was questioned about his profession. Specialists needed by the SS for their workshops were selected and returned to Auschwitz I (approximately half of the convoy). The others remained in Birkenau, employed in earthmoving and construction of the blocks. Jean Fletcher would have been assigned to Block 12 in Birkenau (information on his file at the DAVCC). He died in Auschwitz on 29 July 1942, according to his death certificate issued at the camp for the civil register of the municipality of Auschwitz (in Death Books from Auschwitz volume 2 page 296). His wife asked for a modification of his civil status and obtained satisfaction on 26 November 1946: he was declared “Died at Auschwitz on 30 July 1942”. The endorsement Died for France was attributed to him on 30 March 1948. A decree on his civil status published in the JO [Journal officiel de la République Française] of 2 April 2009 was inscribed “died during deportation”. Albert Town Hall (14 May 1991). Mr. Lalou, ADIRP [Association des déportés, internés, résistants et patriotes] Amiens (26 March 1991). Death Books from Auschwitz. Paris, Auschwitz-Birkenau State Museum, 1995 (based mainly on death certificates, dated 27 July 1941 to 31 December 1943, relating to detainees registered in the Auschwitz camp. These registers are unfortunately fragmentary). Office of the Division of the Archives of Contemporary Conflicts (DAVCC), Ministry of Defense, Caen (individual file No. 10182, consulted in 1991). List (incomplete) by registration number of the convoy of 6 July1942 established in 1974 by the historians of the State Museum of Auschwitz-Birkenau (Office of the Archives of Victims of Contemporary Conflicts, Ministry of Defense, Caen) generally indicating the date of death at the camp. “Book of deportees who received medicine at the infirmary of Birkenau, kommando Auschwitz” (registration number, date, roll, room, name, nature of the medication) from 1.11.1942 to 15.07.1943. (DAVCC - Caen). Source: Cardon-Hemet, Claudine. Déportés politiques à Auschwitz, le convoi du 6 juillet 1942: biographies et articles historiques (2016). Translated by Tony Millett November 2017. Cardon-Hemet, Claudine. Déportés politiques à Auschwitz, le convoi du 6 juillet 1942: biographies et articles historiques (2016). April 1891: living at 1 Union Place, Leith, Midlothian, Scotland. Born 1 March 1902 at Tralee, Kerry, Ireland. April 1911: living at Infectious Diseases Hospital, Milton Road, Portsmouth, Hampshire, England. Died 29 July1989 at Horndean, Hampshire, England. England and Wales National Probate Calendar, 1858-1966. Born 20 June 1903 in Kerry, Ireland. England and Wales, Civil Registration Death Index, 1916-2007. Born in 1906 at Ballyheigue, Kerry, Ireland. April 1911: living at 78 Collins Road, East Southsea, Portsmouth, Hampshire, England. Died 1951 at Portsmouth, Hampshire, England. England and Wales Death Index, 1916-2007. Born 23 July 1912 at South Stoneham, Hampshire, England. Military service: 1939-1948 Royal Australian Air Force. Died 2002 at Portsmouth, Hampshire. Born 11 January 1881 at Granton Road, Leith, Midlothian, Scotland, baptised 3 March 1881 at 7 Bayton Terrace, Leith. Married on 10 July 1902 at Presbyterian Church, Feilding, Manawatu GEORGE NICHOLLS MILLETT (see below). Died 3 December 1965 at Remuera, Auckland. Cremated 7 December 1965 at Purewa Cemetery, Meadowbank, Auckland. On Census night 31 March 1901 Kate Millett, Isabella R. Fletcher and a boarder were living at 21 Partickhill Road, Glasgow, Lanarkshire, Scotland. The New Zealand Shipping Company’s steamer Papanui arrived this afternoon from London via Capetown and Hobart. She brought the following passengers for Wellington :--First saloon--Rev Dewing, Messrs Mallalleu, Spencer. Second saloon--Misses Elder (3), Hoddinot, Fletcher, Martin, Mesdames Elder, Jacob, Millett, Revs Murray, Jacob, Messrs Dowson, Duxburg, Nicholas, Masters, Elder (3), and 31 third-class. She has also 114 for all other ports. Three thousand six hundred tons of cargo will be discharged at this port. Built in 1898 by Wm Deny & Bros, Dumbarton, Scotland for the New Zealand Shipping Company, the Papanui was a 6,372 gross ton ship, length 430 ft x beam 54.1 ft (131.06 m x 16.49 m), one funnel, two masts (square rigged for sail on the foremast), single screw and a speed of 13 knots. There was accommodation for 34 1st, 45 2nd and 400 emigrant class passengers. She carried a crew of 108. She was sold off in December 1909 after striking an uncharted rock off the coast of Tasmania, Australia. Mr. and Mrs. G. N. Millett, who have been residing in Tauranga for some time past, have decided to take up their residence in Mount Maunganui. Source: Bay of Plenty Times (Tauranga) 3 September 1906, p. 2. Source: Bay of Plenty Times (Tauranga) 22 January 1908, p. 1. Source: Bay of Plenty Times (Tauranga) 25 August 1909, p. 2. Born 29 August 1880 at Rajahmundry, Madras, India, baptised 7 June 1881 at Madron, Cornwall, second son of Towers Trevorian Millett (28 December 1852-5 August 1882) and Kate Leslie (30 January 1851-27 December 1921) (see Millett of Bosavern and Marazion: Biographical Notes). 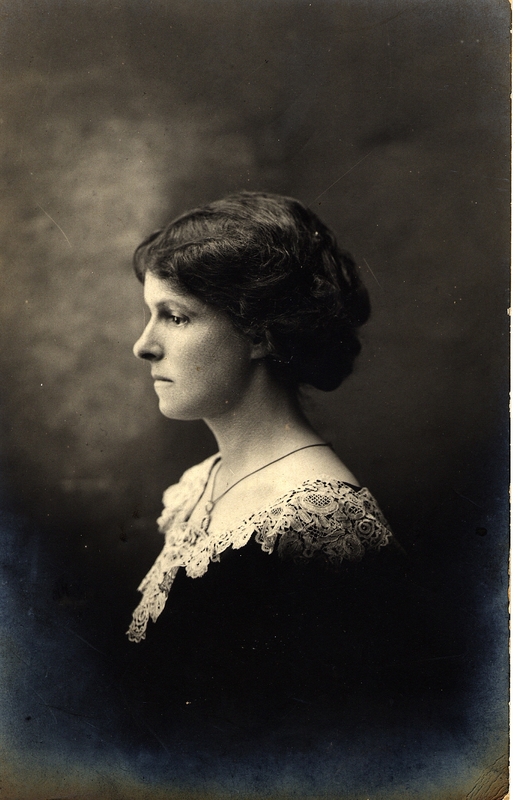 Married on 10 July 1902 at Presbyterian Church, Feilding, Manawatu ISABELLA ROBERTSON FLETCHER (see above). Died 6 February 1962 at Devonport, Auckland. Cremated 7 February 1962 at Purewa Cemetery, Meadowbank, Auckland. On Census night 5 April 1891 Kate, her two sons, and her sister-in-law Sarah Matilda Millett were living with two servants and a border at 27 Beaconsfield Villas, Steyning, Sussex. Towers’ wife and two boys are in Glasgow. Source: Letter dated 15 November 1897 from Anne Nicholls Louisa Edwards née Millett to her uncle William Nicholls Harris. Shortly after 10 o’clock this morning, the White Star liner Delphic, from London, Plymouth, Teneriffe, Capetown, and Hobart, came to an anchorage in the stream, where her passengers were inspected by the Health Officer, who found everything satisfactory. As there were a large number of passengers on board to be examined, the vessel was not berthed at the Queen’s Wharf until 12.20 pm. She left Plymouth at 2.41 pm on 29th September, sighted Teneriffe 4th October at 8.45 pm, passing the island quite close, so as to signal “All well”. Fair weather was experienced to lnt 18.49 deg S, when a strong breeze and rough sea was encountered, which was met with on and off until arrival at Capetown on 22nd October at 3.58 pm. The vessel resumed her voyage next day at noon. Heavy swells and unfavourable weather were encountered during the greater part of the run to Hobart, which was reached on 14th November at 7.30 am. Having discharged cargo for Tasmanian ports and landed passengers, etc, the Delphic left for Wellington on 16th November at noon. Fine weather was met with for the remainder of the voyage. She brought the following passengers for Wellington :--Third-class—Misses Barr, Croft, Haddy, Hennessy, Ledbrook, Lee, Nyham, Wise, Wilson, Oldridge, Mesdames Haddy, Wahren, Wilson and infant; Wise, Jonson, Captain M’Intyre, Messrs Cooper, Craig (2), Foster, Gilbert, Gilbank, Haddy (2), Harbottle, James, Jay, Brosnan, Ledbrook (3), Macpherson, Millett, Nyham, Potts, Pritchard, Palmer, Rowlands, Stevenson (2), Spearing, Wise, Thornton, Walker, Wahren, Wilson, Keyes (2). The voyage was uneventful, and no ice or wreckage was seen. The usual entertainments were held at intervals. Particulars of her cargo have already been published. Leaves Wharf for the Mount daily, if sufficient inducement offers, starting at 10 a.m., returning 5.30 p.m. Seats 30. Adult’s fare 1s. return. Children, under 12, half fare. Parcels and goods carried. Parties hiring privately, 30s. per day. G. N. MILLETT. Source: Advertisement, Bay of Plenty Times (Tauranga) 19 December 1906, p. 3. Yesterday morning whilst fishing off Wairakei in the launch Active Mr Millett had a very severe seizure of the heart, which rendered him powerless to manage his boat, and no one else being in the boat he was placed in a very awkward position. He kept the engine going, but lying in a prostrate position could not steer the boat. Mr E. J. Cullen, who was out in the yacht Gipsy, noticing a flag half-masted on the Active, went to Mr Millett’s assistance, and made the Gipsy fast to the Active. A very heavy sea sprang up, which parted the tow-line twice, and after considerable difficulty Mr Cullen safely brought the two boats over the bar and anchored them in Pilot Bay, where Mr Millett was taken ashore and attended to. Much praise is due to Mr Cullen, and Master M. Keefe who was in the Gipsy with him, for their praiseworthy action in rendering assistance to Mr Millett. Source: Bay of Plenty Times (Tauranga) 24 April 1907, p. 2. Pilot Bay is in Tauranga Harbour. Last week Mr P. Murray had considerable alterations made to his large yacht by Mr J. Brain. A 5 h.p. Zealandia engine was also installed in the vessel by Mr G. N. Millett, engineer. The boat was given a trial spin on Friday and gave a speed of over seven miles an hour. Mr Murray intends to use the vessel for fishing purposes. Source: Bay of Plenty Times (Tauranga) 25 September 1907, p. 2. Mr Millet has purchased the launch Gladys from Mr Ferguson, having disposed of the launch Active to Mr H. Tanner. Source: Bay of Plenty Times (Tauranga) 16 May 1906, p. 2. Mr Millett has disposed of his 10 h.p. oil launch Active to Messrs Beets Bros. Source: Bay of Plenty Times (Tauranga) 27 September 1907, p. 2. Source: Bay of Plenty Times (Tauranga) 30 September 1907, p. 2. Certificate of Competency, Masters, Mates and Engineers, Fishing Boat up to 5 Tons, 20 September 1907. Source: AJHR 1908 Session I, H-15, p. 28. Certificate of Competency, Masters, Mates and Engineers, Second-Class Oil Engineer, Sea-Going, 11 May 1909. Source: AJHR 1910 Session I, H-15, p. 28. Certificate of Service as Master of Oil-Engine Vessels Not Exceeding Six Tons -- Restricted Limits, 3 November 1911. Source: AJHR 1912 Session II, H-15, p. 33. Mr G.N. Millett has purchased from Mr J. Brain the well-known whale boat Tarawera. The vessel is to be converted into an oil launch and is to be fitted with a Price’s oil engine. Source: Bay of Plenty Times (Tauranga) 7 October 1907, p. 2. Source: Bay of Plenty Times 27 December 1907, p. 1. Mr. George N. Millett, of Wellington, has entered the lighthouse service. He has been appointed to the Dog Island station, vice Mr. Arthur, transferred to Ponui Passage lighthouse. Mr. Garland has been appointed lighthouse keeper on Centre Island. He takes the place of Mr. Tipene, who transfers to Dog Island in succession to Mr. Millett, who has resigned. The latest edition to the business establishment of the town [Tauranga] is the motor garage and engineering works opened by Mr G. N. Millett in Devonport Road. Repair work to machinery of all descriptions will be undertaken, and in addition Mr Millett has secured the agency for the "Standard" car, which is specially constructed in England for heavy roads. Source: Bay of Plenty Times (Tauranga) 22 December 1913, p. 5. Mr G. N. Millett left Tauranga this morning to take over the Central Garage at Rotorua. Source: Bay of Plenty Times (Tauranga) 17 December 1915, p. 2. Born 9 May 1903 at Wanganui, baptised June 1903 at Wanganui. Married (1) on 28 February 1934 at Tauranga MARGARET ELLEN BROOKES, born 18 March 1903 at Christchurch, eldest daughter of John Brookes (1877-1949) and Frances Ellen Butcher (1867-1941); died 20 April 1999 at Takapuna, Auckland. MARGARET ELISABETH MILLETT, born 31 December 1934 at Tauranga. Married on 31 January 1975 at Otahuhu, Auckland JOHN VINCENT SUTTON, born 31 July 1941 at Parawera near Te Awamutu, Waikato. No children. JOHN CHARLES BRIAN MILLETT (Brian), born 24 August 1938 at Tauranga. Married on 17 March 1979 at Takapuna, Auckland CHRISTINE ANN PACKER, born 8 August 1949 at Wellington. 3 children: Clifford Charles Millett (born 29 December 1980); Trent David Millett (born 23 March 1984); Helena Marie Millett (born 9 April 1985). MICHAEL GEORGE MILLETT, born 13 June 1940 at Tauranga. Married on 3 August 1963 at Khyber Pass, Auckland ALISON ESTHER HEATH, born 29 December 1941 at Auckland. 2 children: Peter Michael Alfred Millett (born 3 May 1968); Antony Malcolm Trevorian Millett (born 21 February 1970). IVAN RICHARD MILLETT, born 12 September 1944 at Takapuna, Auckland. Married on 18 November 1965 at Takapuna, Auckland EDWINA PILKINGTON HUGHES, born 15 May 1939 at Auckland. No children. Charles Trevorian Fletcher Millett married (2) on 3 May 1963 CUSHLA HELEN KATE PURDIE, born 27 September 1906, daughter of David Norman Purdie (1881-1944) and Maud Mary Lambert (1877-1958); died 9 January 1980 at Takapuna, Auckland. No children. Charles Trevorian Fletcher Millett married (3) on 25 September 1982 at Tauranga MARY AGNES DIXON, born 21 December 1919 at Mangonui, Northland, daughter of Robert Henry Dixon (1882-1947) and Elizabeth Helen Kitchen (1885-1959); died 15 May 1989 at Tauranga? No children. Died 16 October 1995 at Takapuna, Auckland. Cremated 20 October 1995 at North Shore Memorial Park Cemetery and Crematorium, Albany, Auckland. Born 28 January 1906 at Wanganui, baptised 1906 at Tauranga. Married (1) on 3 November 1938 at Remuera, Auckland ELEANOR FLORENCE UPTON, born 13 March 1910 at Melbourne, eldest daughter of Percy Henry Upton (1874-1960) and Florence Sarah Nihill Pierce (1878-1954); died 26 November 1973 at Takapuna (see The Millett – Upton Connection). EDWARD JOHN UPTON MILLETT (John), born 5 March 1940 at Takapuna, Auckland. Farmer. Unmarried. ANTONY PERCY UPTON MILLETT (Tony), born 1 May 1942 at Takapuna, Auckland. Librarian. Unmarried. Source: New Zealand Electoral Rolls, 1855-1981. RICHARD TRACEY MILLETT, born 16 April 1946 at Takapuna, Auckland. Sales executive. Married on 3 May 1969 at Devonport, Auckland CREINA MARY DENTITH, born 12 December 1948 at Narrow Neck, Auckland. Died 28 April 2010 at Waiheke Island, Auckland. 2 children: Christopher Tracey Millett (born 15 September 1971); Jennifer Mary Millett (born 29 August 1974). Edward Tracey Fletcher Millett married (2) on 4 October 1974 at Milford, Auckland DOROTHY EILEEN BARRY, born 29 September 1923 at Napier, daughter of David Barry (1886-1939) and Margaret O’Donoghue (1889-1962); died 22 December 2007 at Albany, Auckland. No children. Died 17 December 1989 at Takapuna, Auckland. Cremated 19 December 1989 at North Shore Memorial Park Cemetery and Crematorium, Albany, Auckland. The Millett – Leslie Connection. Millett of Bosavern and Marazion: Biographical Notes.